Natural products, like nature itself, are a major force within the skin care market. And perhaps one of the greatest and well-known benefits we gain from their bounty comes in the form of antioxidants. In fact, their reputation precedes them, and they find application across the board in cosmetics, food, pharmaceuticals and more. According to BCC Research,1 the global market for antioxidants will grow rapidly with a CAGR of 4.2% between 2017 and 2022, reaching $6.4 billion. With such ripe opportunity, it’s only natural to seek new sources for materials that pack a strong antioxidant punch. Enter: the elderberry. Additional uses reported include improving bone mineral density, antiviral effects, anti-toxoplasma activity against parasites and antidiabetic effects.2 It appears Hippocrates was right in his designation of this plant—which as you might expect, also demonstrates key benefits for skin care, outlined here. In relation, a recent study demonstrated the antioxidant abilities of elderberry.5 Researchers at the Medical University of Warsaw explored the free-radical scavenging activity of various topical creams containing anthocyanin-rich elderberry or other berry extracts. Although not one of the most popular antioxidants, anthocyanins, a subcategory of flavonoids, are gaining attention due to their significant antioxidant, anti-inflammatory and antimutagenic effects5—and, as shown, berry fruits are generally rich in anthocyanins. Another study,6 from the University of Nis and Institute for Medicinal Plant Research, in Serbia, concurred with these antioxidant observations. In this work, in vitro techniques were used to screen extracts from elderberry prepared using four different solvents for activity against UV-induced free radicals. The four solvents included methanol, propylene glycol, ethanol and distilled water. Interestingly, among the extracts tested, the radical scavenging activity was highest for the water-based extract. Researchers from the Wrocław University of Technology in Poland also showed the polyphenol content in elderberry acts as a UV absorber. 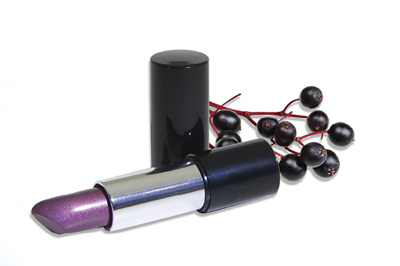 Emulsions were prepared using elderberry or other extracts, and samples were tested via UV transmission;8 note that additional formula ingredients were not disclosed in this article abstract. Aspira, The Spa in Elkhart Lake, Wisconsin, incorporates both elderberry fruit and flower extract in its Elderberry Facial (80 min., $190/$200 on Saturday). The treatment starts with an elderberry-infused foot bath. Next, the face is cleansed and then steamed with warm, moist towels infused with elderberry tea. The exfoliation cream is blended with ground, dried elderberries then a mask of elderflowers is applied. The final application of moisturizer is personalized by element type. Elderberry is used to heal the body for Lasapa Lelima Purification (100 min., $324) at The Spa At Pebble Beach (Pebble Beach, California), which is combined with white sage and blue cornmeal. This combination scrub, wrap and massage creates an environment for healing to occur naturally. Radiant skin is achieved with elderberry at Kelinci Spa Bed & Breakfast in Long Beach, Mississippi. In its Biotec Radiance Renew (50 min., $170/25 min., $90), ultrasonic vibrations dislodge impurities and exfoliate, while galvanic combined with elderberry and orange flower helps skin appear more radiant and luminous. As it is located within The Estate By the Elderberries, it is a sure bet that the Spa Du Sureau (Oakhurst, California) offers treatments that tap the berry’s tremendous powers. 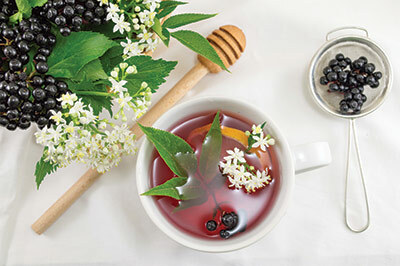 Treatments with the berries are offered year-round; however, in late Spring/Summer, The Elderberry Experience (240 min., $400) provides a robust immersion into all things elderberry. The treatment begins with the spa’s signature item, its Elderberry Footbath. The client then experiences its elderberry buff and skin is nourished with an elderberry cream elixir. Clients are then guided to explore the spa’s Hydrostorm water experience, followed by a classic massage. Plenty of spa skin care manufacturers have explored the benefits of elderberry. Amarte utilized the ingredient to calm the skin and reduce redness in its Aqua Veil Hydration Serum. “This soothing emollient enhances tone and softness and is rich in bioflavonoids that enhance skin circulation. It also boasts potent antioxidative activity derived from a combination of alpha-flavonols and tannins,” explained the company. The healing benefits of elderberry are also used by Dermaware in its healing and soothing line of products including its Pure & Gentle Cleanser, Delicate Balance Toner and Healing Powers Mask. “Rich in vitamin C and vitamin B, elderberry is excellent in promoting renewal,” noted Gül Ç. 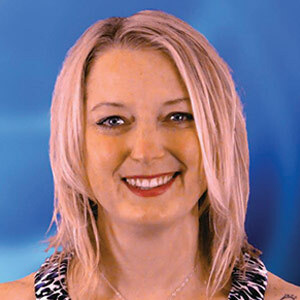 Zone, CEO and founder of DermAware. The antioxidant benefits of the berry are tapped by 4.22 Organics in its Elderberry Treatment Crème, where flavonoids protect cells against damage. Similarly, Bellecôte utilizes elderberry in its Triple Stem Cell Mask. The extract’s antioxidant benefits help the mask fight free radicals. Taken together, if Hippocrates can find room in his medicine chest, who doesn’t have a little room in their makeup bag for this powerful, natural cure-all?